FILE PHOTO: Mark Johnson, a British citizen who at the time of his arrest was HSBC's global head of foreign exchange cash trading, exits following a hearing at the U.S. Federal Court in Brooklyn, New York, U.S. on August 29, 2016. NEW YORK - A U.S. jury on Monday found a former HSBC Holdings Plc executive guilty of defrauding Cairn Energy Plc in a $3.5 billion currency trade in 2011. The verdict was read in federal court in Brooklyn, where Johnson was on trial for nearly four weeks. 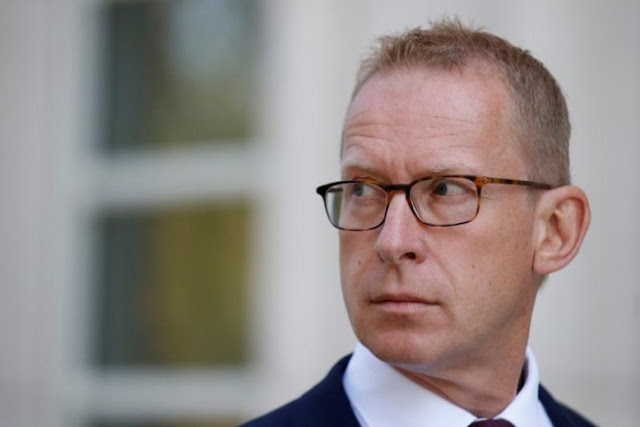 U.S. prosecutors have said that Johnson, formerly head of HSBC’s global foreign exchange cash trading desk, schemed to ramp up the price of British pounds before executing a trade for Cairn, making millions for HSBC at Cairn’s expense. A U.S. jury on Monday found a former HSBC Holdings Plc executive guilty of defrauding Cairn Energy Plc in a $3.5 billion currency trade in 2011. The verdict was read in federal court in Brooklyn, where Johnson was on trial for nearly four weeks.